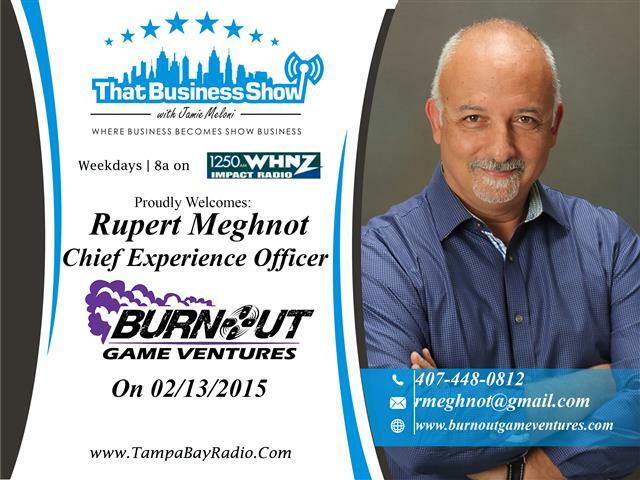 On today’s show, I spoke first with Rupert Meghnot, CEO of Burnout Game Ventures based in Orlando, Florida. Rupert has 35+ years of entrepreneurial experience and has helped develop over 200 firms through the development processes. His primary focus has been in high-tech start-ups – doing business planning, project management, product development, capital acquisition, operations & marketing consulting and is a recipient of the Orlando Business Journal’s “40-Under-40″ Award. He was a University Professor spending 6 years teaching aspiring game producers good project management skills at the Masters Degree level. He invites anyone with a gaming vision and idea to reach out to him at 407-448-0812 or email at rmeghnot@gmail.com. You can also learn more about him and his company through http://www.burnoutgameventures.com. Also featured on today’s program was Chief Operating Officer of Access Reverse Mortgage, Malcolm Tennant. Malcolm and his firm specialize in only Reverse Mortgages and his company has overseen the funding of over 1000 Reverse Mortgage since inception. They are a family owned business based in St. Petersburg, Florida and personally meet with all applicants to discuss Reverse Mortgages oftentimes in their homes. Malcolm discussed many of the myths of the industry and touched on some changes on the horizon within the industry. 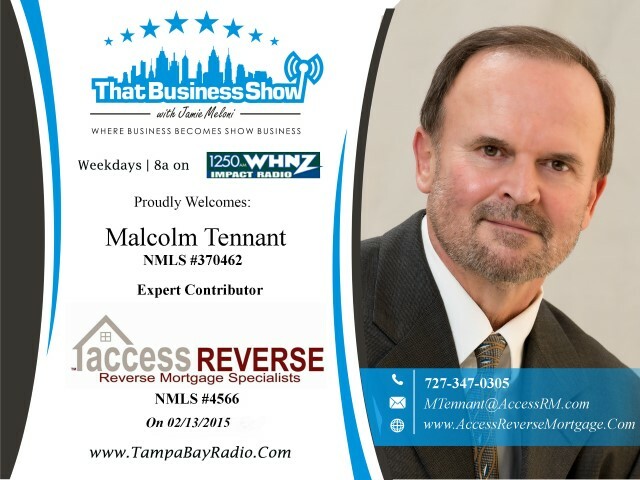 Reverse Mortgages are also a tool for purchasing new homes as well so if you are a candidate or interested in learning more about Reverse Mortgages, reach out to Malcolm Tennant via phone at 727-347-0305 or email at mtennant@accessrm.com and learn more at http://www.accessreversemortgage.com.